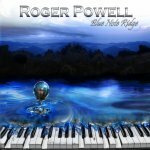 Roger Powell has returned with a new digipack CD and this time it is all solo piano compositions. 14 tracks in 34 minutes. Most of you will know him from his work with Todd Rundgren. This is quite a contrast to his previous Fossil Poets CD which was a real band project. The music is deeply personal and emotional. How else to describe it? Each piece stands as it’s own. They are well crafted to take you on slow emotional trips. No fancy jazz or classical playing, just slow emotional pieces. Allow yourself to be dragged in and you will be rewarded. There is nothing more revealing and challenging as a musician than to expose oneself playing solo piano music. It is so naked, so heartfelt some how. Humans have a special emotional attachment to the sound of piano. Let yourself be touched.